5. 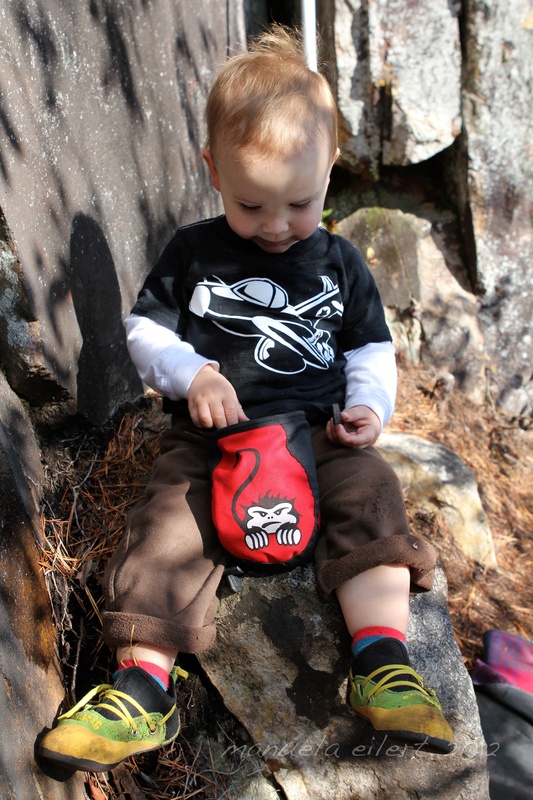 Big Boy Climbing Gear – This year I had my very own climbing gear – shoes, chalkbag, harness, and helmet. Just like Mommy and Daddy! Even though I don’t always use all of it, having my own gear makes me feel like one of the gang! 4. 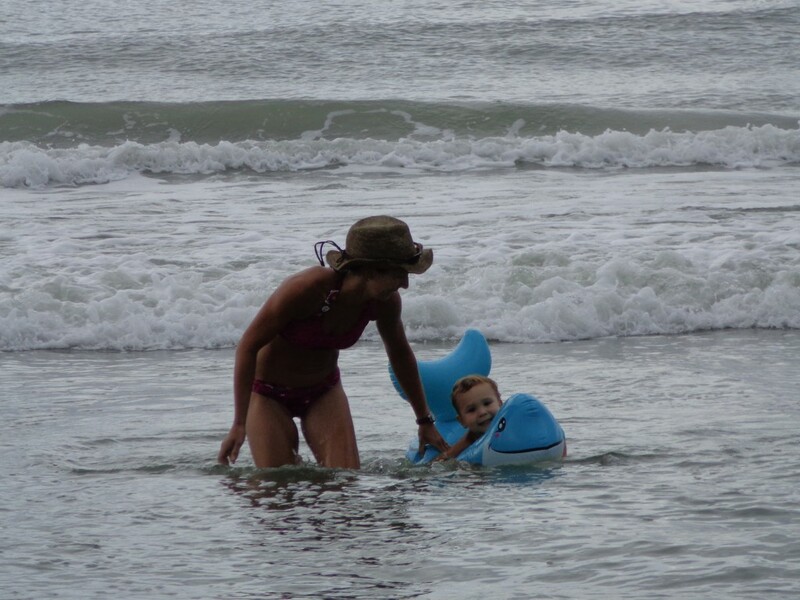 Riding the Waves (Ocean Isle Beach, NC) – This summer I got to go to the beach with lots of people in my family. I watched the grown-ups ride the big waves in the morning, and then in the afternoon I got a turn to ride the baby waves in my tube. 3. 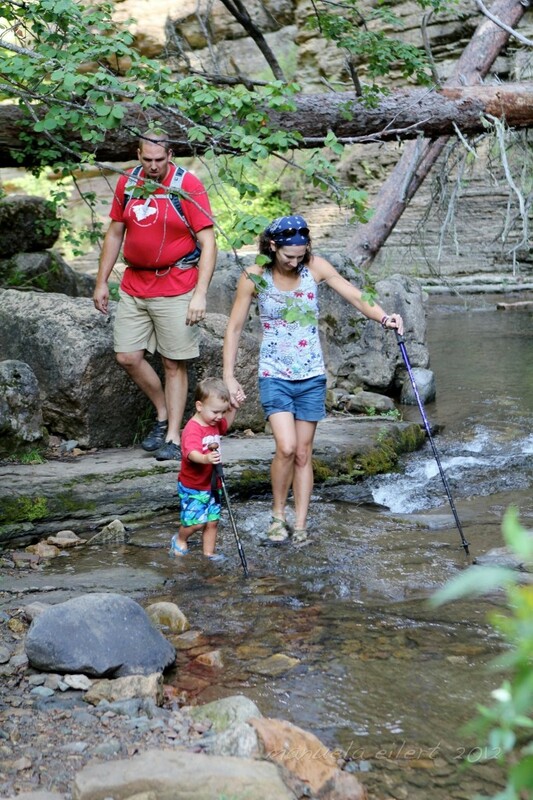 Devil’s Bathtub Hike (South Dakota) – This is when I figured out that hiking is really fun! I hiked almost the entire way through streams, over logs, and under big tree branches! At the end of the hike I even got to go swimming! 1. 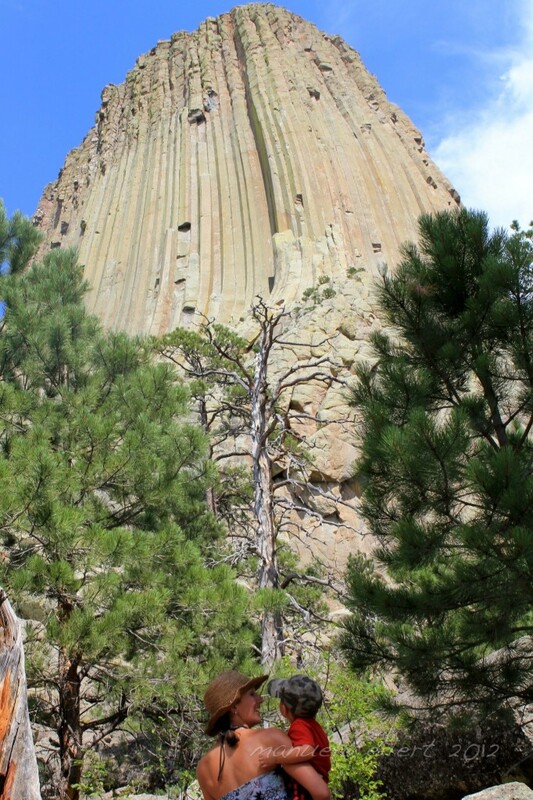 Devil’s Tower (Wyoming) – Going to Devil’s Tower was my favorite day of the year! It’s a gigantic rock that looks like it’s growing out of the ground, and there are lots of prairie dogs running around at the bottom. Mommy says that one day when I’m big enough to climb it, we’ll all go back and take a picture together from the very top! 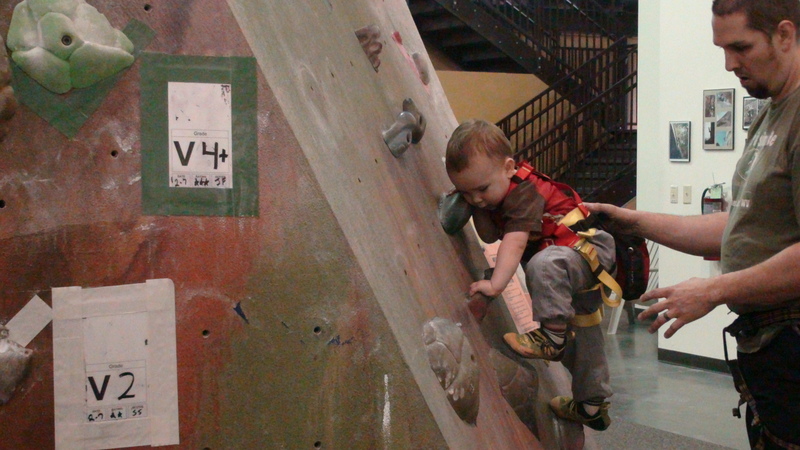 So that’s Cragbaby’s year in a nutshell – he’s had quite a fun year! What are everyone else’s favorite family moments of 2012? What a great year C had! Can’t wait to follow his adventures in 2013!